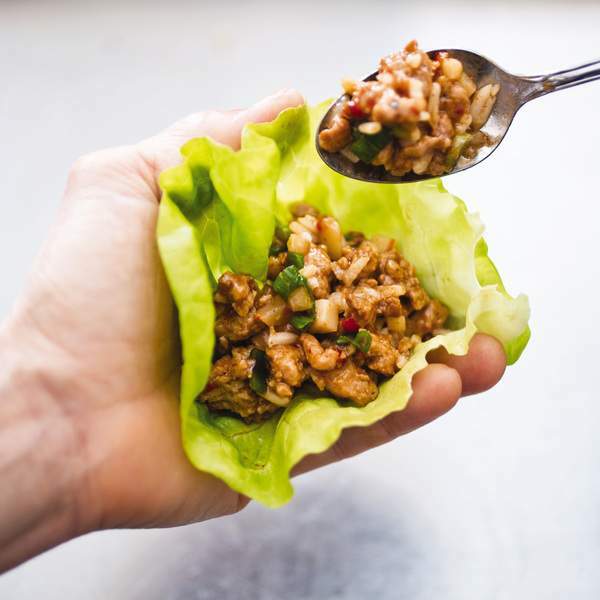 Associated Press Asian Chicken Lettuce Wraps are a low-carb way to enjoy Asian flavors. Whisk lime juice, fish sauce, and cornstarch together, then add to skillet and cook, stirring constantly, until sauce has thickened, about 45 seconds. Off heat, stir in basil, scallions, and peanuts. Gently fluff rice with fork. Divide chicken filling and rice evenly among lettuce leaves and serve. Makes 4 servings.